The Professional Development Committee plans and coordinates activities designed to enrich the professional growth and knowledge of its members. SoACE is an NBCC-Approved Continuing Education Provider (ACEPTM) and may offer NBCC-approved clock hours for events (or programs) that meet NBCC requirements. Sessions (or programs) for which NBCC-approved clock hours will be awarded are identified in the program bulletin (or in the catalogue or Web site). The ACEP is solely responsible for all aspects of the program. 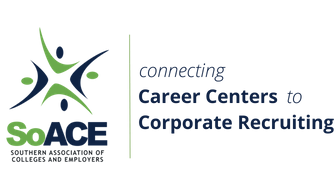 SoACE is an HRCI approved Continuing Education Provider and may offer HRCI approved clock hours for events or programs that meet HRCI requirements. The Professional Development Committee welcomes new members! Participating on this committee can be a very rewarding experience-work with other career services professionals from around the region.